The countdown is over, as Del Taco’s newest location at 9570 Highway 5 opened Wednesday, October 10, 2018. The Mexican fast food chain is the latest arrival to the renovated Arbor Square Shopping Center, located at the corner of Highway 5 and Douglas Blvd. 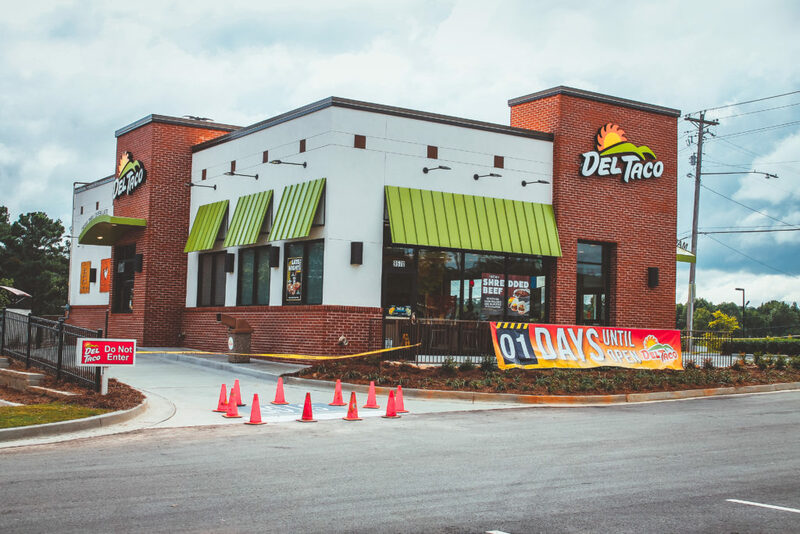 Elected officials and community members came together Tuesday afternoon to celebrate Del Taco’s return to Douglasville with a ribbon cutting hosted by the Douglas County Chamber of Commerce. “It means a lot that you have chosen to come [back] to Douglasville. We really appreciate your business,” commented Mayor Rochelle Robinson. 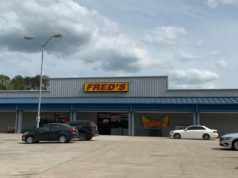 With more than 60 employees, construction on the 2400-square-foot restaurant began back in early June as part of a recent expansion. 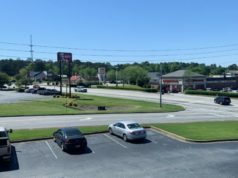 Del Taco announced back in April that its southeast expansion would continue, with plans to develop several locations in and around the Atlanta area. Founded in 1964 by Ed Hackbarth and David Jameson, Del Taco’s first store opened with a menu featuring 19-cent tacos and tostadas, and 24-cent cheeseburgers in Yermo, California. Over the years the chain grew rapidly in size, opening their 500th restaurant in 2008. As of June 2015, Del Taco operates over 500 restaurants and 16 states. 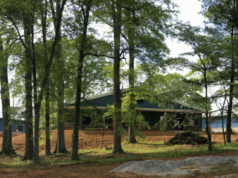 Other locations in Georgia include Kennesaw, Columbus, and McDonough. Specializing in American-style Mexican cuisine in addition to Amercian foods, Del Taco’s menu features tacos, burritos, salads, burgers, and sweet treats, such as their Cinnamon Churros, Caramel Cheesecake Bites, and their $1 Donut Bites—which were introduced back in July to combat “overpriced and trendy donuts with ridiculously complex flavors”. With several locations currently operating in Georgia and another set to open soon in Hiram, who knows how far the reach of the resurrected West coast favorite will grow. Del Taco is open Monday through Sunday from 10 a.m. to 1 a.m. For more information, you can check out their website.